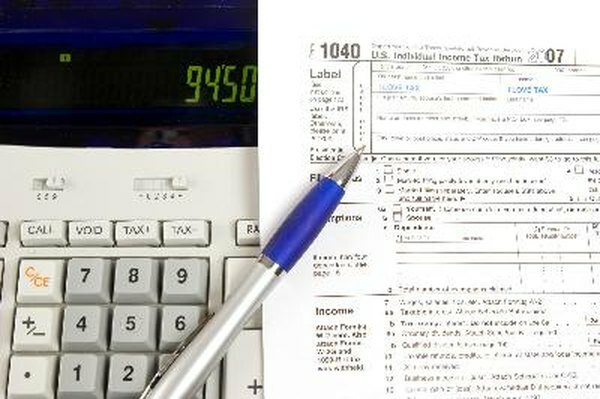 Check out tuition tax rules before filing a Form 1040. Federal income tax rules governing college tuition have fluctuated over the years. For several years, the Hope scholarship credit governed tuition credits, but as of 2012 that program has been replaced by the American opportunity tax credit. It can reduce tax liability for eligible college students or their parents, depending on who pays, and even pay taxpayers if the credit exceeds the tax liability. A higher education institution files a Form 1098-T with the Internal Revenue Service, with a copy to the person who is eligible for the college deduction. Form 1098-T shows the amount the college billed for tuition and other qualified expenses, such as special fees. Expenses for fees, books, equipment and other materials are included if they are paid to the institution. A parent can claim tuition credits for a dependent child who is attending a college or other institution of higher education. A student who files a separate tax return and is not listed as a dependent by a parent or other person can claim the credit personally. The credit is up to $2,500 per student and can be claimed for up to four years of higher education. Taxpayers with up to $80,000 of adjusted gross income, or $160,000 for joint filers, can claim the full credit. The credit is reduced for taxpayers above those limits and is eliminated for taxpayers with incomes of more than $90,000, or $180,000 for joint filers. However, taxpayers whose total tax liability is less than the credit can get a refund of 40 percent of the credit or $1,000, whichever is less. You can only file one credit per year for each student, even if parents or students are eligible for other education or tuition credits. A lifetime learning credit exists in 2012, which can provide up to $2,000 in tax credit for undergraduate or graduate students. The student requirements are similar to those of the American opportunity credit but the income limits are $61,000 if single or $122,000 for joint filers. This was set to expire at the end of 2012, pending a congressional extension.